Wow... Mitch, what a surprise! It makes me feel honoured... thanks! I'm well aware of my lack of regularity as a member of this fantastic Group. For several reasons, over the past months and probably in the months to come, my irregularity will continue. The three photos were very recently taken in Oporto. 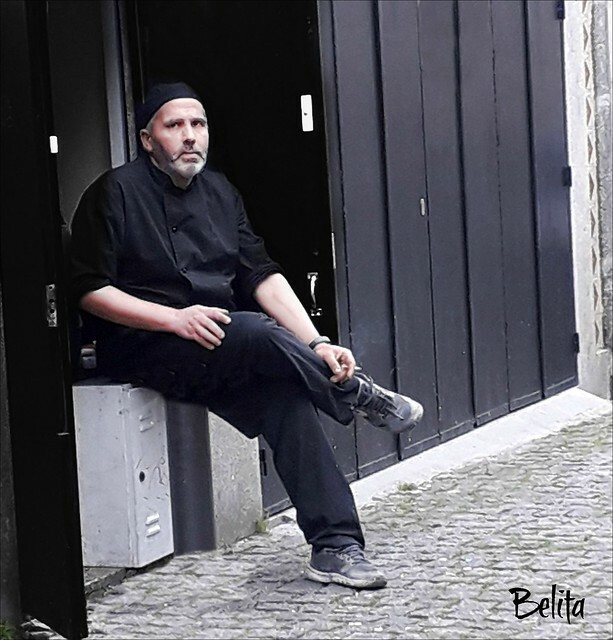 Belita, I so love your portraits of people and these are no exception. A cook looking pensive and a nice effect having his face and arms stand out. 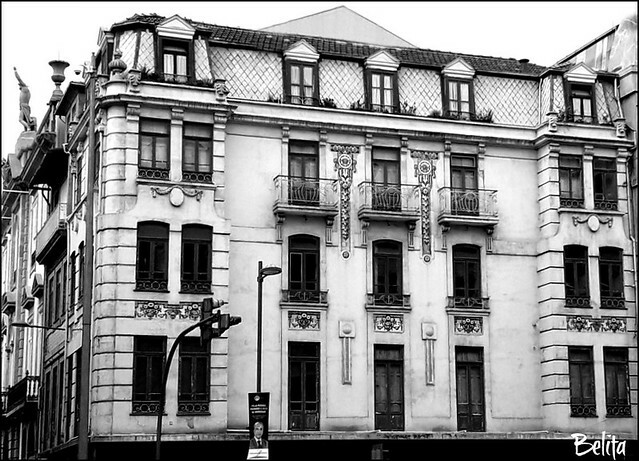 Beautiful building in Oporto. My favorite is the picture of the two school girls having a moment together. 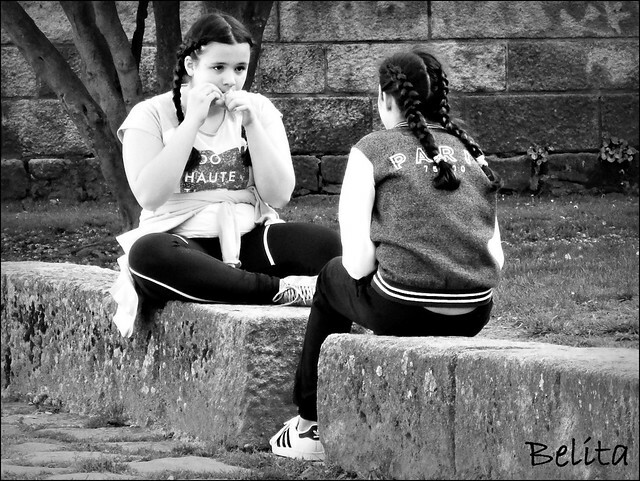 The expression in their postures and the face of the one girl tells me they are perhaps close friends, relaxing, maybe eating something, talking about boys? A charming view of two sweet young ladies. Hi Belita!! It is always good to see you taking part. 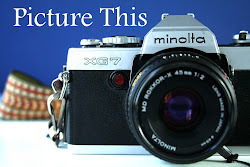 Three great photos for the theme. The cook was probably very glad to get out of the heat of the kitchen for a while!! Lovely old building in a classical style. I wonder if the students were chatting about studies or the latest pop star?